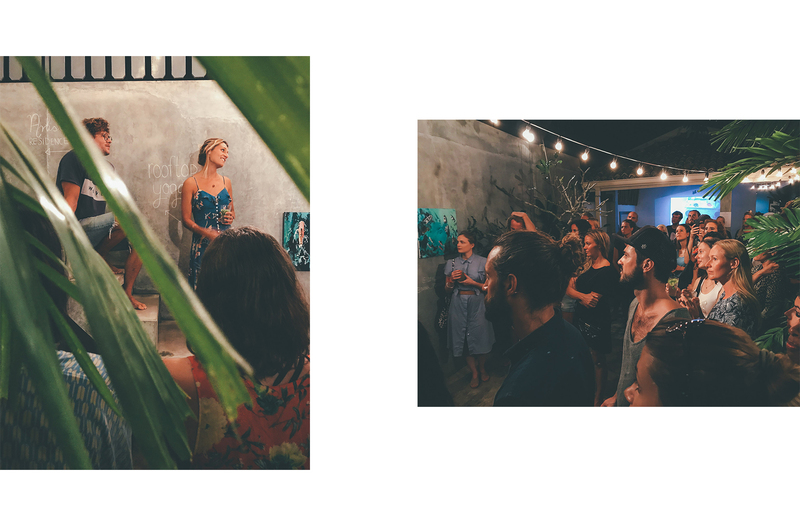 On a balmy Tuesday night last week, we had the lovely opportunity in hosting Nina Brooke as our featured artist-in-residence. Always a dream of ours, we’re constantly building on this idea to create a community that fosters the inspiration and creativity to produce one-of-a-kind artwork by artists around the globe. In November, UK-based artist Nina Brooke was just that feature, and we couldn’t have been more pleased. 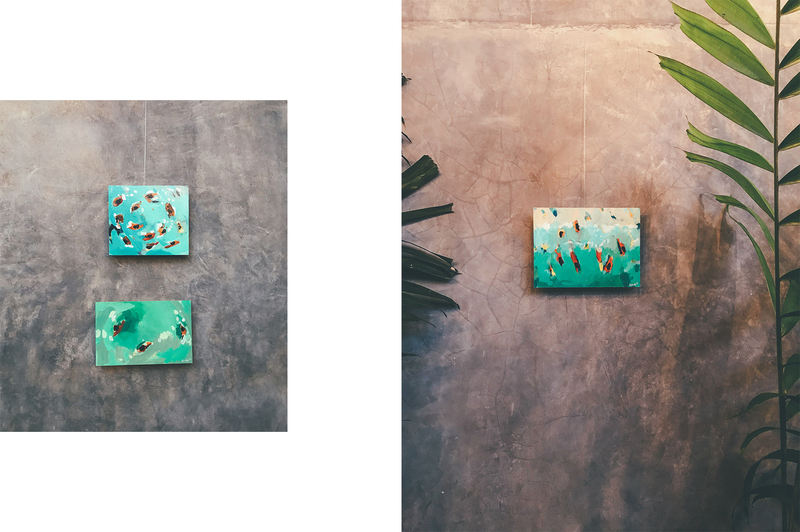 Using the shores of Sri Lanka has her inspiration, she created wonderful abstract pieces featuring her memories and moments in her time with us – like surfing at Fisherman’s reef and spending a day in Hiriketiya bay. From sun-sparkled moments on the sea, to early rises with the sun, Nina is truly an inspirational artist at encapsulating these memories and loading them onto her paintbrush. 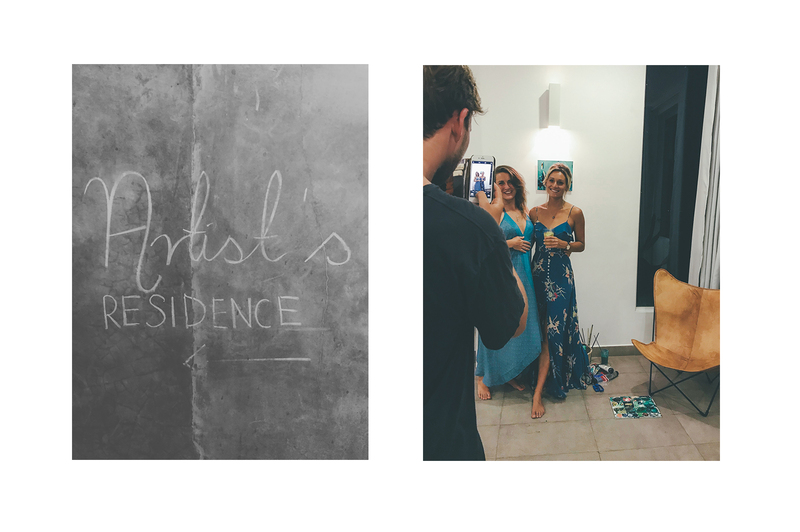 The exhibition featured 10 of Nina’s pieces she created during her stay at our Ceylon Sliders hotel. 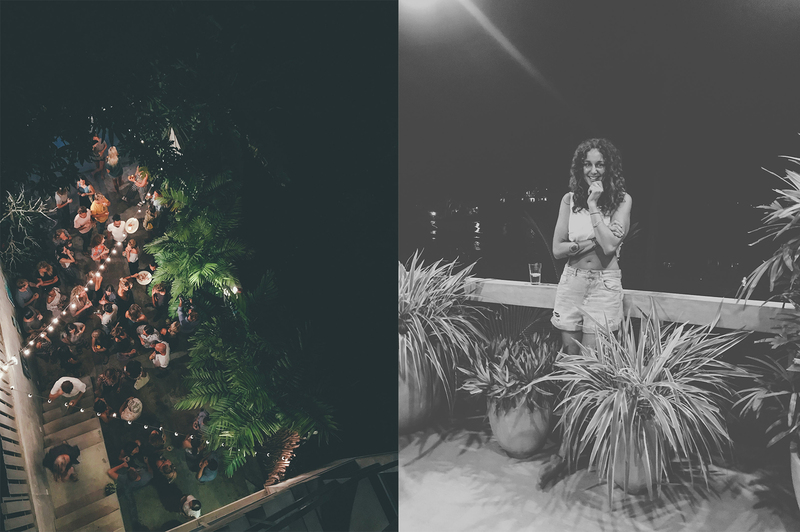 We spent the night mingling by the paintings, sipping on beer, gin, and of course, arrack. 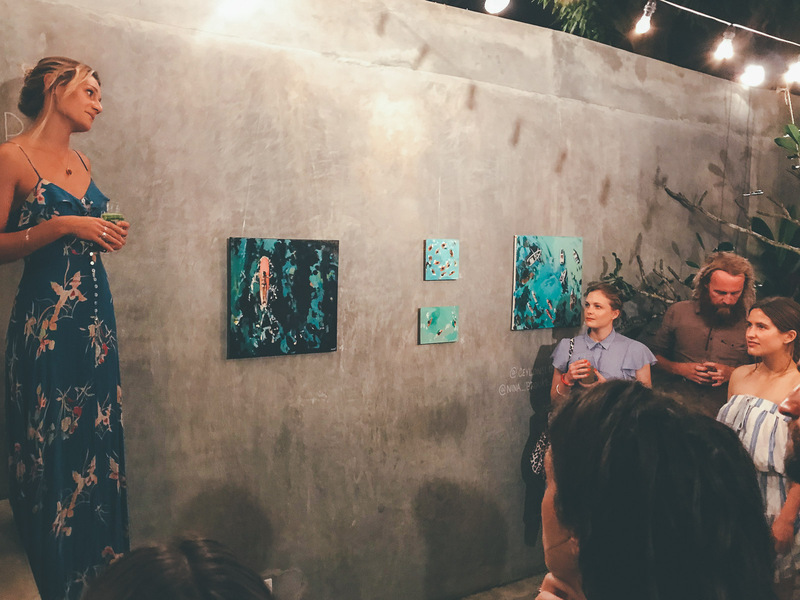 We are so grateful for everyone that took the time in sharing a memorable night supporting Nina and her artwork. We hope to have many more of these incredible moments, to share, to inspire, to create. The room featuring Nina Brooke’s masterpiece is the Island Suite No. 1 – book here. 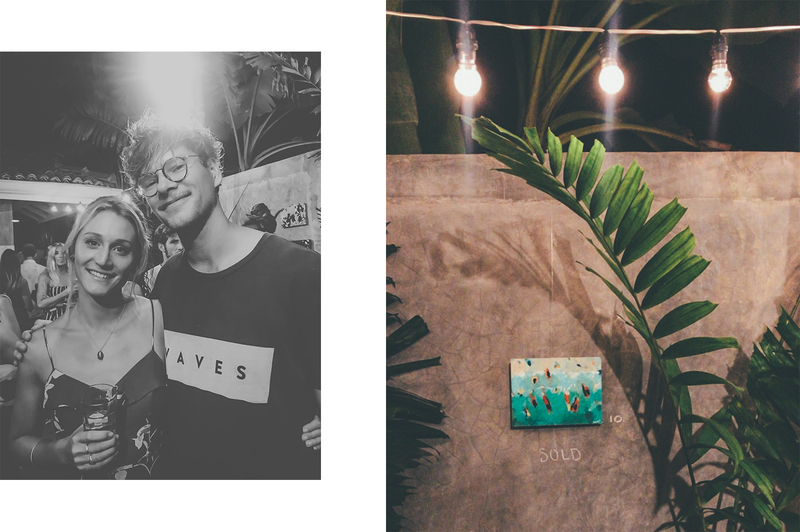 All of her artwork produced during her stay is for sale in the shop at Ceylon Sliders, located in Weligama, Sri Lanka. Come stop by for a quick muse!